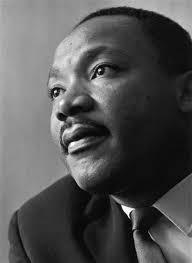 Nominations are open for EUP's 20th annual Martin Luther King, Jr. awards. "The ultimate measure of a man is not where he stands in moments of comfort and convenience, but where he stands at moments of challenge and controversy. The true neighbor will risk his position, his prestige and even his life for the welfare of others." That was one of many great statements made -- and lived -- by pioneering civil rights leader Martin Luther King, Jr.
And now, for the 20th year running, Edinboro University of Pennsylvania is seeking to put a spotlight on the works and accomplishments of local people who put King's legacy into living practice. Until 4:30 p.m. on Friday, Dec. 4, EUP will continue accepting nominations for the recipient of its 20th annual Martin Luther King, Jr. Award. "Nominees should be individuals whose contributions to society reflect the spirit, philosophy and teachings of Martin Luther King, Jr. ... particularly in the areas of social justice, social activism, and/or peace initiatives," officials said in a recent news release. Nominations must contain an in-depth, narrative description (with specific examples) of the nominee's achievements and contributions to society, according to officials, along with contact information for both the nominator and nominee. All nominations should be submitted to EUP's Vice President for Student Affairs Dr. Kahan Sablo, c/o Ms. Cyndi Waldinger, 218 Frank G. Pogue Student Center, 405 Scotland Rd., Edinboro, PA 16444; or, alternatively, emailed to cwaldinger@edinboro.edu. And remember: To be eligible for consideration, all nominations must be received by 4:30 p.m. on Friday, Dec. 4. Ryan Smith can be reached at rsmith@eriereader.com, and you can follow him on Twitter @ryanmsmithplens.